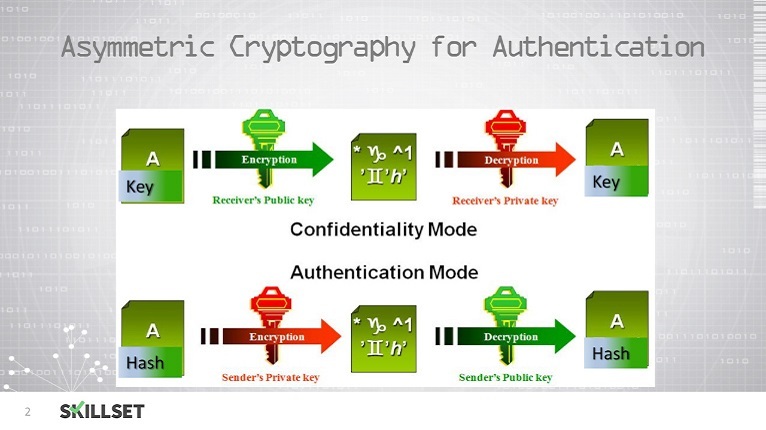 Public Key Infrastructure is a framework that allows secure transfer of data or information over an insecure medium using public key (asymmetric) cryptography. 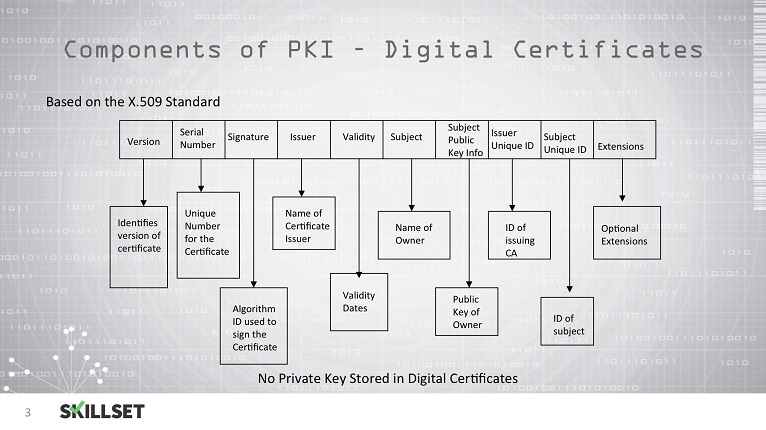 It includes digital certificates, Certificate authorities, Registration authorities and so on. Try a quiz in Public Key Infrastructure FOR FREE! Who has the authority to issue end-entity certificates? 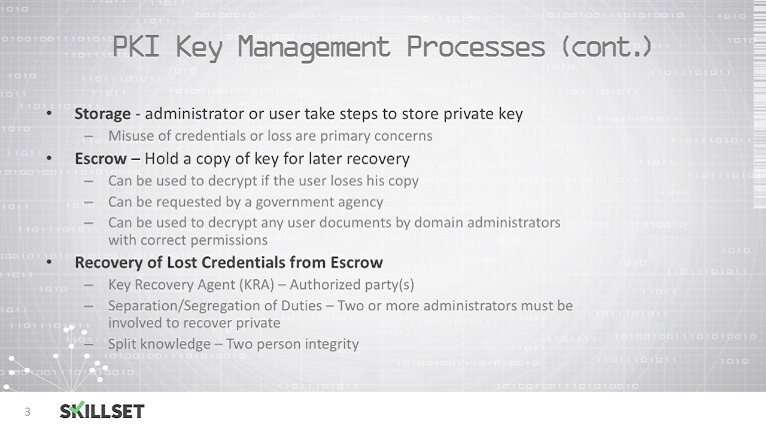 Which part of Public Key Infrastructure verifies the applicant? 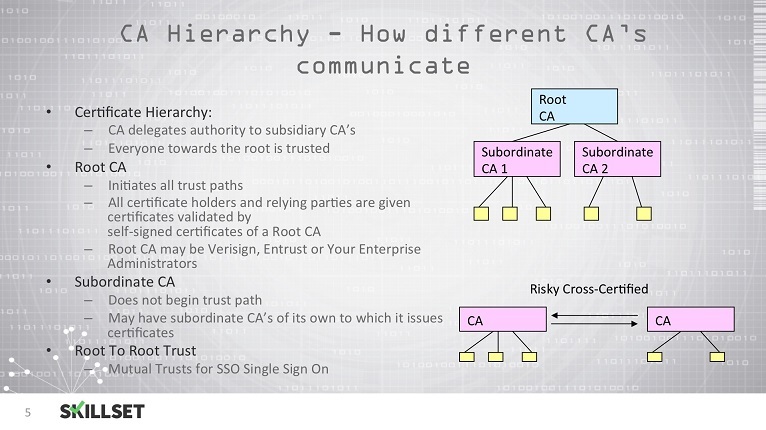 If Company A and Company B have just merged and they both have their own Certificate Authorities, what must the CAs establish so the private keys from Company A and Company B trust one another? 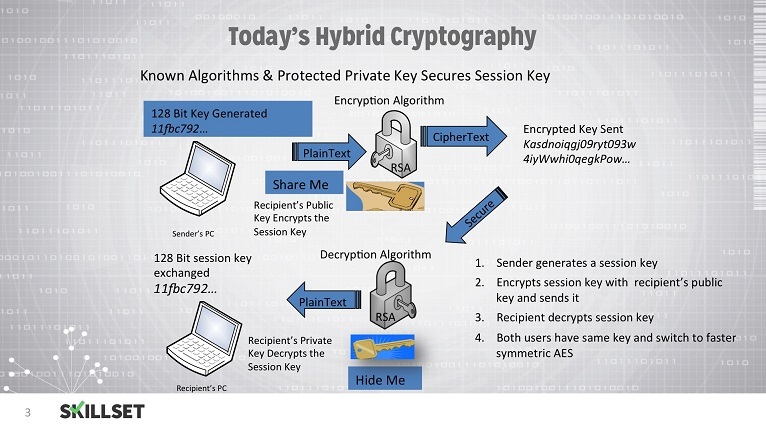 What step in the encryption/decryption process delivers the highest confidence of attaining confidentiality, message integrity and nonrepudiation by either sender or recipient? Every X.509 certificate has a serial number contained in it. True or false?